ATLAS is a particle physics experiment which is being built at the LHC, near Geneva, on the border between Switzerland and France. It is one of two large, multi-purpose detectors at the LHC. We are currently completing installation and commissioning of the detector systems, and expect first collision data by the end of 2009 with plans to take data for years to come while continuing to extend sensitivity and energy reach. 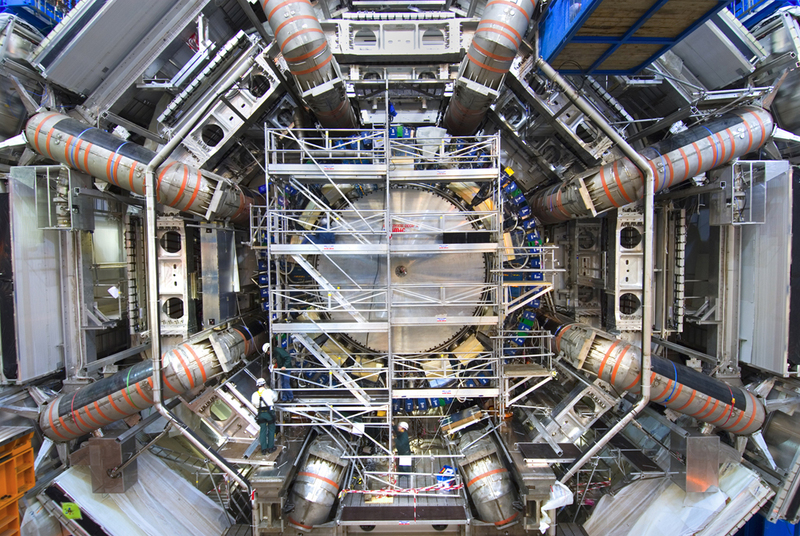 Massive and exotic particles created when energetic protons collide in the centre of the ATLAS detector decay promptly into lighter and more stable particles such as electrons, muons, photons, mesons and baryons. 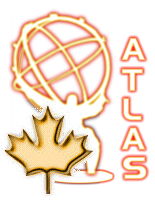 ATLAS will examine the debris from proton collisions at unprecedented energies. It will probe at, and beyond, energy scales where current theories and experiments strongly indicate new physics should reside. The extraordinary energy reach of the LHC combined with the precise and copious measurements made by ATLAS will lead to the largest step in our understanding of the most basic constituents of matter and their interactions in decades.